Befriend Uncertainty for it’s certain! Uncertainty is your friend, a friend you fear. Moreover, you might not see it as a friend at all. Uncertainty is such unpredictable territory. What will happen next? What will tomorrow shape up to be? What does the future hold? The anxiety these questions set off and sustain in the background is what most people experience. Once in a while, this anxiety flares up to disrupt life, as you know it. Eventually, you learn to tame it, to be just that little flame flickering away in the background while you anxiously act to keep it from flaring up again. That’s how many have come to accept and treat uncertainty. As a result, we are cautious with what we do and live in the light cast by our yesterday. Generally, many are risk averse, play out their fears and live within the confines of their comfort zone. 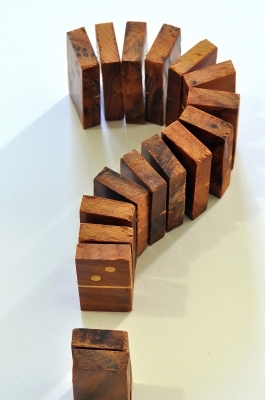 As a result, there is not much to expect in terms of change since comfort breeds stagnancy. Over time, it dawns that there is not much excitement and zest for life when it’s the same old life day in and day out. Uncertainty has turned into something we are fearful of, avoid in all circumstances and cannot image to even skirt with it. A cautious approach is good but to the extent you can see it. Being prepared is a virtue, but you can only be so much prepared. Hence, learn to embrace uncertainty. Probably, cautiously at first! But, do give it a try. I assure you, you will be addicted to the fun and excitement that you experience along the journey. It’s exciting to not know what’s around the corner while you toil away at what’s in your control. You follow through logical steps to complete tasks, execute plans and then, do enough to assure yourself of the outcome you desire. Sometimes, you confront unseen roadblocks that you have to work around; at other times you come across unsurpassed surprises that galvanize the outcome way beyond your expectations. And, at other times, you simply get just what you expected. However, you feel more in control, as you no longer fear the outcome. You feel more confident and self assured, since you put your best leg forward. The rest just follows through as an outcome of your actions. Life will feel richer and well lived when you look back; no regrets or should haves, could haves staring back at you. What you do will be worth the effort. Among other things, you will discover a nugget or two of your own innovative and creative capabilities. The act of innovation and the results thereby are always by accident. And, that’s when they are the sweetest. Innovation is the after effect, the result of creativity. And when is creativity at its best? Well, there are two schools of thought. One believes that you need to have experienced certain hardship, been under pressure or difficult circumstances and as you toil to get out of this situation, you innovate. 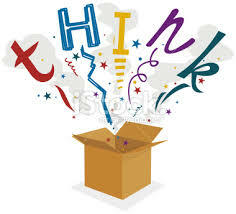 You think and act in creative ways to solve the issue at hand and come up with some very novel ways of doing so. Another school of thought believes that true innovation, for that matter quality innovation happens in an environment that helps nurture creativity. True breeding grounds of creativity need to be established and encouraged where an issue to be solved is first recognized; then, those enlisted to act on solving the issue are freed up of any other responsibilities and are charged with focusing on this one thing. More often that not, history has shown us that true innovation happens under pressure, when you are trying to solve an issue you are struggling with. However, the latter is true as well, but what happens there is not creative innovation to solve an issue, but more of solution enhancement and optimization; albeit creative. Let me enumerate through some examples. The invention of the round wheel was innovation that happened to fulfill a need, transport; the improvisation of the wheel to make it last longer, go faster, adapt to different vehicles, etc. falls under solution enhancement. Connecting people through e-mail and Facebook during this Internet age was innovation addressing a need, social connectivity. Twitter, chat and the different facelifts we see of Facebook are improvisation and solution enhancement. Generally speaking, the birth of innovation to solve an issue happens purely due to the urge to solve the issue; there is not much needed in terms of money and establishments to do that for its entirely based on frugality and the excitement to see something new. What follows after that, demands a lot more in terms of money and material to improvise and scale. Not to say that one is righteous than the other, we all know that the world needs both. Creativity, whether in profession or hobby is the spark that makes what you do purposeful. Where do you find your fulfillment? In the former or the latter? Once you can answer that, you will know where your passion, your heart lies and where you can prosper and thrive. To Err is Human, To Forgive Divine! Boy, it’s been almost a year since I last published. Sincere apologies for being such a procrastinator. I know, I had said I would keep up with my blogging before & yet, slipped. 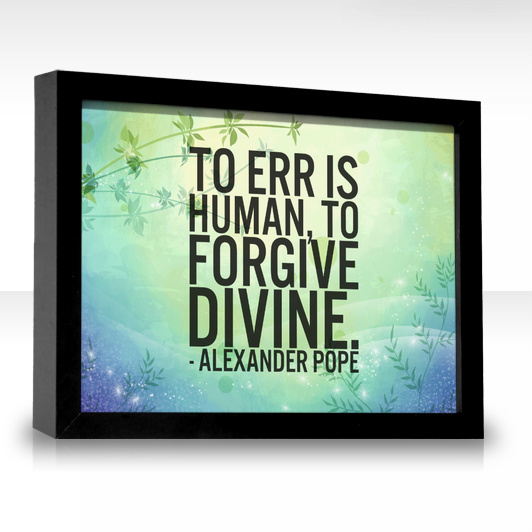 To err is human and to forgive divine. Well, please be divine for I am human. I shall try not to err again. With that taken care of, let’s jump into our discussion for today. I would like to talk about the aspect of us being human and what that means; probably more so for myself than you. From ages, the being human aspect has been passed onto us as some sort of weakness. We are only humans; mere humans, etc. are things that we hear frequently. As though, that entitles us to err, slip, fall and fail, time and again. Being human doesn’t make it okay to err or fail. Its time humanity is representative of strength, resilience and domineering spirit. A glimpse of this new human spirit is seen in our frequent achievements; our innovation, our growing technology, space research, health, education, sports etc. But, this is not treated as representative of human spirit in its completeness, as second nature & fostered for being more frequent. Such achievements are glorified as something outside human reach and when reached should mean so much more to us, mere humans that they should be celebrated. I think we should celebrate everything we do, everything we achieve, for that should be what being human should be representative of. This self-deprecating attitude is exactly what I think needs to change; the mere humans syndrome. So long as we pity ourselves, generations to come will see new achievements, as insurmountable tasks that happen only one in several and which, when happen should be celebrated. We have made such immense strides in various fields over the decades. The frequency of our achievements has also kept up. Time we regard them as the new thresholds and expect more from ourselves. Time being human is synonymous with strength, resilience, achievement, higher expectations and stronger integrity than with weakness, occasional success and trepidation. Season’s Greetings & a Happy New Year, 2013! 2012, a year fast-fleeting by, has been one of mixed emotions. Personally, it has been a year of new beginnings, definite trials & tribulations, modest success but one that has filled my heart with the warmth of hope and soaring expectations of the future. That is what you can term as a year well expensed for it has kept me steadfast on the growth path and my hopes lit up with the expectations of a brighter future. The world has seen a mixed bag in 2012 as well. There were those that believed the world would end on 21st Dec, 2012. I am here and writing this a day later. Rest assured, the world is still in its place and hasn’t been knocked off its orbit around the sun. There are also those that expressed their vision of making the place better for future generations and that continues to be so. However, we have had our share of difficult situations as well during 2012; the economic uncertainty continues and the recent school shootings in Newtown, Connecticut are dark blotches on an otherwise regular year. The indomitable human spirit was showcased once again in the London Olympics this year. As generations of us look forward to a new year, new beginnings & a better future, it’s the duty of every elder to the ones younger that we strive to make this world more secure, one filled with hope and better prospects, a better quality of life for the generations to come. Let us work together, not only to innovate and build what was once not available but also to safeguard what Mother Nature has given us and meant us to have. Innovation at the cost of what has been endowed by Mother Nature has to retrogress and slow down. Else, Dec 21st is not far off in any year. With this word of caution, I wish you a very happy holiday season and a new year with best prospects!